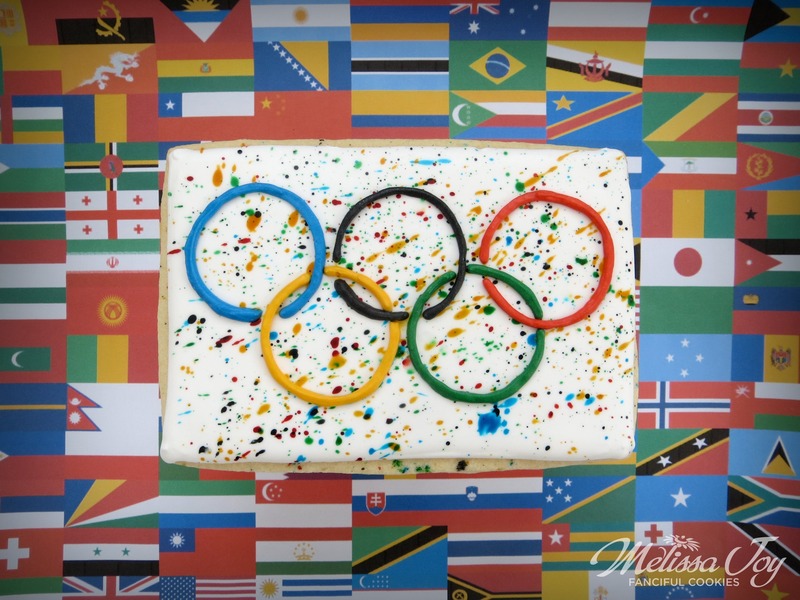 While I am not a big sporting event type of person, I am completely obsessed with the Olympics. I’ve been counting down the days for this year’s winter games to start. I hear the theme song and get goosebumps. Scour the web looking for event start times. Making plans for what to eat for the opening ceremonies. The next two weeks are like my Super Bowl. For a few days during the games I will be hanging with my besties and catching some of the action on cable. Yeah, that’s right…we’re old school over here. We have an antenna and about 10 channels. We still have a land line too. *GASP! 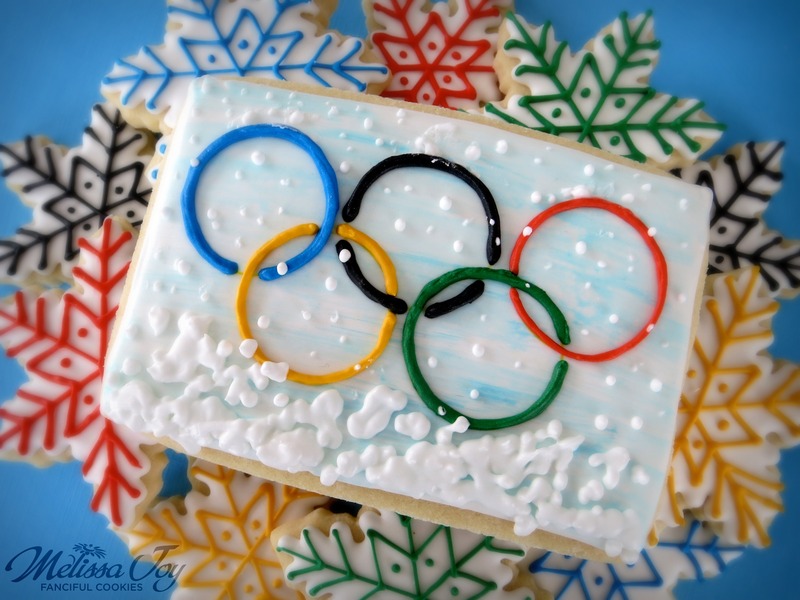 Anyway, I wanted to bring cookies and an Olympic theme seemed like the right thing to do. 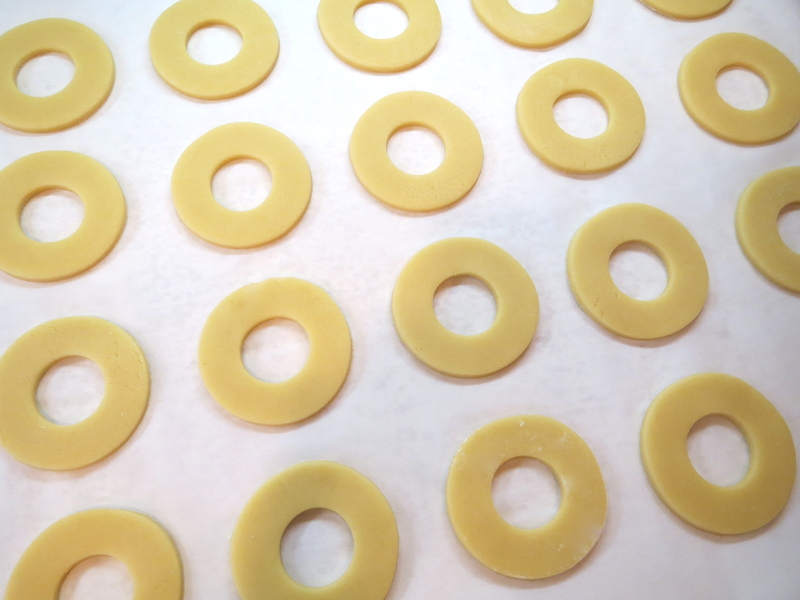 Lacking a great, creative break though, I made some rings. 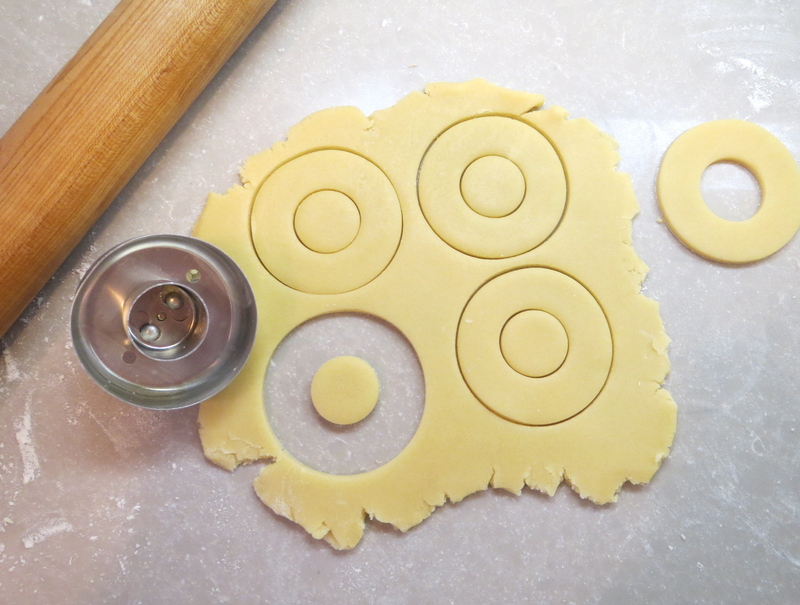 Did you know that a donut cutter is the perfect tool for such a thing? I may have gotten carried away in the amount rings produced, but it was so easy, I couldn’t help myself. Keeping it simple, I busted out the paintbrushes and had a bit of fun. 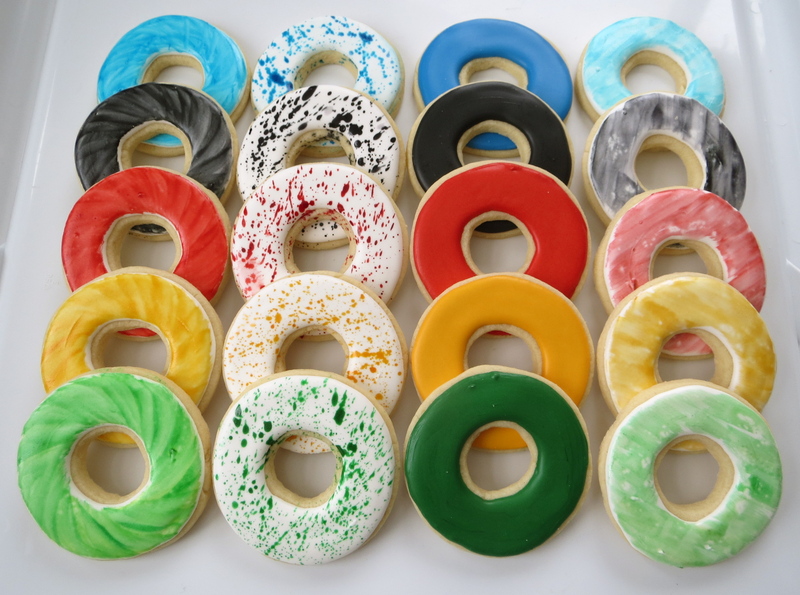 By watering down food coloring, you can paint on cookies that are frosted and dried over night. The splattering makes a mess, but it’s my favorite to do. It doesn’t really matter to me who wins gold, but I will admit to always cheering the loudest for one country in particular; the country of Slovenia. My grandparents immigrated to the United States from this beautiful place after they were married. I was thrilled to visit their homeland several years ago, able to meet family still living there for the first time. It was an incredible experience and one I will never forget. 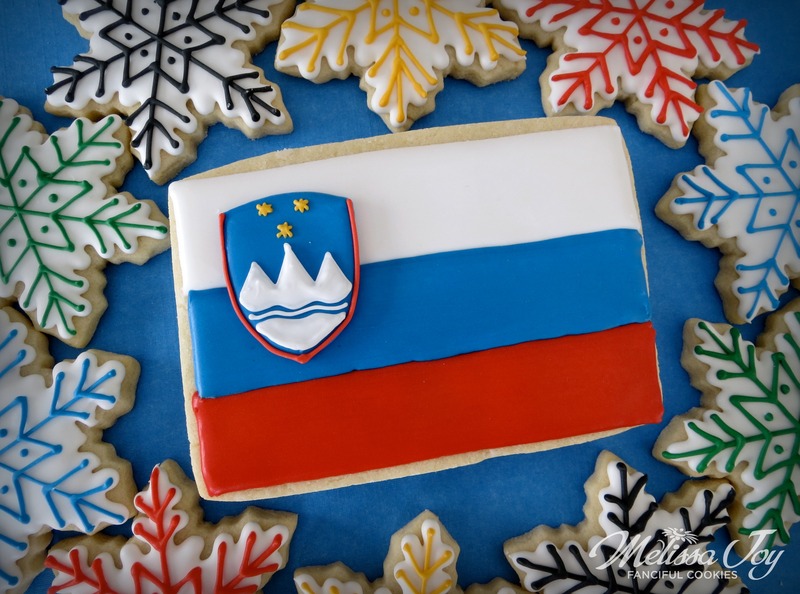 So for Olympic events with Slovenians participating, I say, GO SLO! I have trained and run a half marathon. It was a ton of work, took a lot of dedication and I only did it once. So when the Olympics happen, I am in complete awe at the amount of effort, drive and perseverance it takes to be a competing athlete. Add that to the fact the entire world comes together to play, all focused on a common goal, and it makes it that much more incredible to witness. I can’t wait to watch it all unfold. 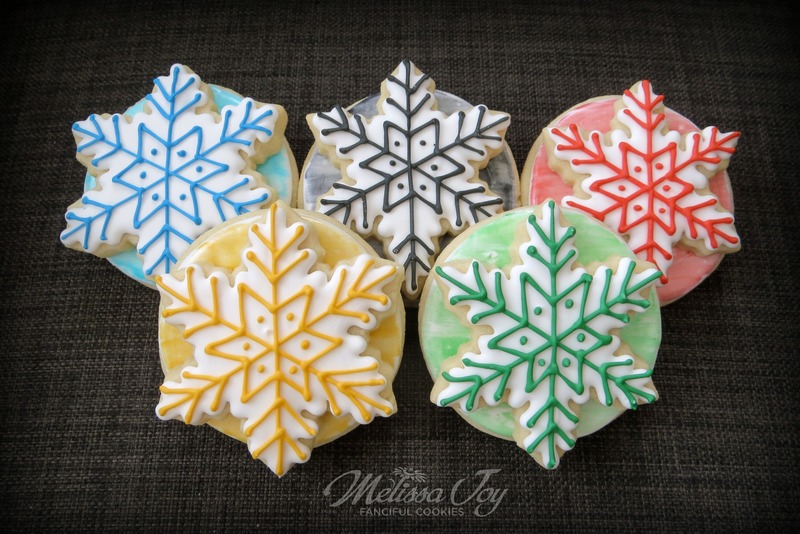 This entry was posted in For Fun Cookies, Winter Cookies and tagged olympic cookies, olympic rings, slovenia, snowflake cookies, sochi 2014, winter olympics. Bookmark the permalink. ← I scream, you scream, for Valentine Ice Cream!!! …and thanks for always commenting and for your support!